Since the launch of Markforged in 2013, ENGINEERING.com has been following the startup’s development. The company’s continuous filament fabrication (CFF) process, which is capable of printing with carbon fiber reinforcement, seemed to suggest a turning point in additive manufacturing (AM), unlocking new materials, new capabilities and a new lower price point for 3D printing technology. Now, Markforged has announced a $30 million Series C funding round led by next47, the Siemens-backed venture capital firm, with participation from Microsoft Ventures and Porsche Automobil Holding SE. Altogether, the startup has raised $57 million to date. 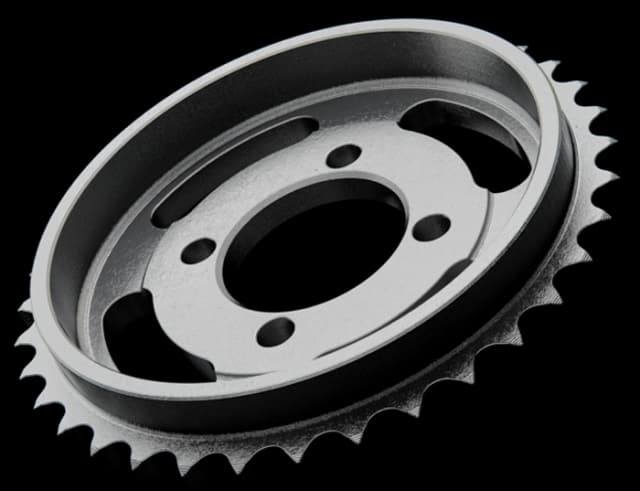 To learn about the progress of the company and what the investment means for the future of CFF, as well as Markforged’s new low-cost metal 3D printing process, ENGINEERING.com spoke to the firm’s CEO, Greg Mark. When the startup launched, it began with the affordably priced Mark One 3D printer, which is capable of 3D printing Nylon parts that are reinforced with continuous strands of carbon fiber, fiberglass or Kevlar. 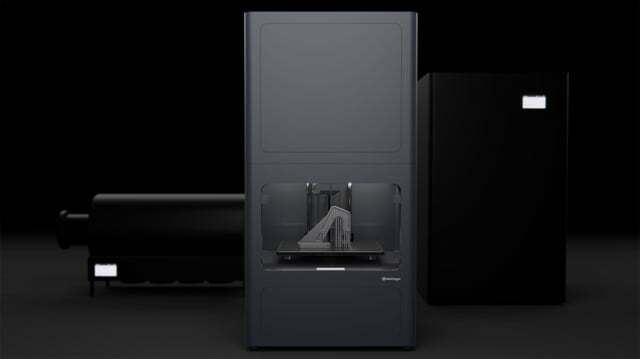 Markforged has since spawned a number of upgrades and offshoots, including the Mark Two and Onyx series, as well as the X3, X5 and X7 3D printers. All of the systems are built on the same base technology, but vary in terms of their size, quality, material capabilities and other features. 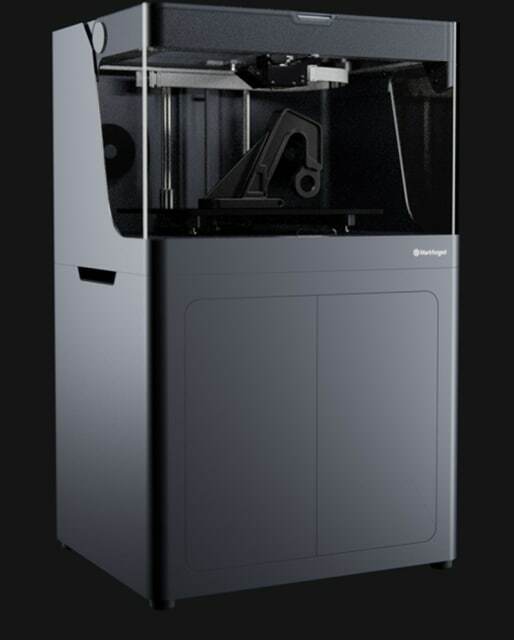 The Onyx 3D printers use a chopped carbon fiber-nylon composite (called “Onyx”) as the primary printing material. Depending on which machine in the Onyx series one purchases, the Onyx One or Onyx Pro, it’s possible to print with Onyx alone or to reinforce prints with fiberglass. The Mark Two takes these capabilities a step further, with the ability to reinforce Nylon or Onyx with carbon fiber, fiberglass, high-strength, high-temperature fiberglass or Kevlar. More recently, the series received a major upgrade with the introduction of the X3, X5 and X7 systems, which build on the foundational CFF technology introduced by the Mark One/Two and add some important features that propel CFF into the realm of industrial quality. Compared to the lower cost Mark Two and Onyx printers, the X3, X5 and X7 have build volumes twice as deep and a couple of inches taller, allowing for parts that are three times as large. The X3 can print with Onyx; the X5 can print with Onyx and reinforce with fiberglass; and the X7 can print with all of the above, as well as carbon fiber and Kevlar. While an increase in size might typically mean a decrease in quality, these systems also feature higher-end parts, such as high-resolution encoding, that actually makes the machines twice as stiff and flat as the lower-end products, according to Mark. Key to the X series is the integration of a laser that performs a variety of tasks, including laser leveling, in-process inspection and calibration. As a result, the leveling and calibration can be performed automatically and more precisely. It’s also worth noting that in-process inspection, as far as we are aware, has not been implemented in other 3D printing technologies. The reseller will also go out to the customer site with a brand-new aluminum plate and, because the printer comes with all of the equipment necessary to do so, the bed can be releveled. All of this together puts the X3, X5 and X7 systems at a level above the Mark Two and Onyx series. The printer is also able to resume prints once it has run out of material. If the printer cools down overnight or is impacted by the ambient temperature of the room, one might expect the aluminum unibody frame to expand or contract by about 25 microns, thus affecting how the print restarts. However, the system will automatically rescan the top layer of the part and compensate for any change that may have occurred without the customer even realizing it has done so. Building on the same base technology once again, Markforged developed what it calls atomic diffusion additive manufacturing (ADAM). With ADAM, metal powder bound in a plastic matrix is printed in the same way that plastic is printed in the aforementioned printers. Once that “green”print is complete, it is then washed in the Wash-1 automatic washing system, which uses a specialized fluid to remove the primary binding material. The resulting porous, “brown” part is subsequently placed in a sintering furnace (Markforged has its own furnaces, the Sinter-1 and Sinter-2). The result is a nearly fully dense metal part. Currently, ADAM is available through the Metal X 3D printer, available for less than $100,000, making it one-tenth of the price of direct metal laser sintering (DMLS) 3D printers. Mark explained that, while the ADAM’s cost is appealing, it is actually the printer’s ease of use that he sees as its real value. “A 10 times greater ease of use is going to blow the doors off the market because, when you engineer a part, the question is: how quickly can you get that part in your hands from plastic composites to metal? We already have the plastic composites nailed. Metal is the last piece you need to fill in the design space,” Mark said. DMLS and other metal powder bed fusion technologies are notoriously complex, often leading to repeatability and quality issues. In turn, DMLS users either need to perform prints repeatedly until all of the machine and print parameters are properly set, or they need print simulation software—still in its infancy—to predict how a print will be made. The Metal X system could open up the possibility of batch production. Markforged apparently has a fleet of 80 Metal X printers, 40 of which are used for sample parts and 40 that are used to produce parts for engineering applications. The firm prints a total of about 16,000 sample parts per month. Each day, 20 parts will be run through the Wash-1 at a time and, at the close of a day, these parts will be placed in the sintering station. By morning, the parts are all ready for shipment. This is a far cry from the laborious post-processing associated with DMLS and similar technologies. Speaking of similar technologies, another startup emerged with two metal 3D printing technologies earlier this year, one of which bears a striking resemblance to ADAM. Desktop Metal’s DM Studio also prints metal powder within a plastic binder that is washed and sintered. At launch, Desktop Metal announced that it had developed a microwave sintering technology that could quickly and evenly sinter parts. Mark explained that Markforged had also researched microwave sintering, but found that it was “not ready for prime time.” It seems that Desktop Metal has also discovered this, recently reneging on its microwave sintering promise and instead offering a thermal furnace. For this reason, Markforged is not overpromising the metals that will work with the ADAM process. Upon shipping, the Metal X can print with 17-4 Stainless Steel. Mark tentatively shows clients other metals currently in beta testing, but without the promise that they are ready for production in the same way that stainless steel is. Mark began by pointing out that this latest funding round may not have been necessary from a financial standpoint. The company has been profitable since the first quarter of 2017, and its revenues have grown by 300 percent. However, various business interests had sought to invest in Markforged, leading Mark to consider the types of investments his company would accept. Siemens, Mark underscored, both develops design software that firms such as Apple use to create products, as well as factory automation technology that has been deployed worldwide. Microsoft is so well known that it likely needs no introduction, but it’s grown from being the developer of the most widely used operating system to the creator of next-generation mixed reality technology. Long-time Markforged customer Porsche isn’t isolated to the Porsche brand, Mark explained. With controlling interest in Volkswagen Group, the car manufacturer also makes Volkswagen, Audi, Lamborghini, Bugatti and Ducati automobiles. This gives the company the greatest range of vehicle types, from $2 million Bugatti luxury sports cars to vehicles with the highest volume production, Volkswagen. All three firms are already Markforged customers, while Lak Ananth, managing partner at Siemens next47, will also be joining the Markforged board. Case studies of how these companies use Markforged technology will be released in the future. Based on what we know of Volkswagen Autoeuropa’s use of 3D printing, we can assume that jigs and fixtures are in the works, as CFF can produce tools and fixtures that are 23 times stronger than normal plastic parts. For metal, we even see end-use, serial production parts, as well as tools and fixtures. Mark said that Markforged will be using the latest funding to grow further and expand the production of its products. The company has grown from 42 people to 110 in nearly a year, and is now filling its engineering team as quickly as it can. For those interested in learning more or applying for positions, visit the company website.